Many people have a need to know how to professionally edit photos on Android smartphones. Smartphone cameras have made rapid progress in quality recently. There was a time when they were mere cheap alternatives to regular digital cameras. Smartphone cameras, such as the iPhone camera, were poor substitutes for a Canon Powershot. 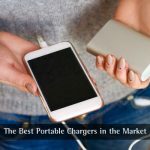 Now, however, they have improved so much in pixel count and software enhancements that many use them rather than any other form of digital camera. Many people are also seeking a good blemish remover app and the best photo collage app they can find. Between them, these improve the appearance of photos while also creating a wonderful collection in the one frame. Here are our 8 choices, and among them, you will likely find the best photo collage app for your needs and a good blemish remover to enable you to present your photos at their best. Android cameras come on Smartphones attached to Samsung, Nexus Sony, LG and other Android phones. Android is an operating system designed for mobile devices. It was developed by Google on the Linux kernel for mainly mobile devices using touchscreen technology. With the increasing use of cell phone cameras for regular photographic use, including but not restricted to ‘selfies’, there has also come a demand for photo-editing apps for such systems. People want to be able to enhance their cell phone photos and make them POP! And why not! So how do they do that – or more to the point, how do YOU do that? Here are some apps that can help you to professionally edit photos on Android Phones. It must be noted here that none of the photo-editing apps below has the same power and range of application that a desktop software package such as Photoshop, Lightroom or Gimp can offer you. However, they will provide you with a reasonable level of application that will allow you to enhance the photos that you have taken. We do include the Android mobile version of Photoshop and Lightroom here. Bonfire Photo Editor Pro offers several basic editing tools together with a large selection of filters. These not only convert your photos to black and white, but also to a watercolor effect and other unique filter effects. It is also a blemish removal app and offers a skin smoothing option. 110+ Unique Effects/Filters, never out of options. Skin whitening excellent. All Bonfire filters are optimized using an artificial intelligence algorithm. The filters are optimized for human vision to provide pleasing, natural results. The blemish remover operates automatically. Bonfire Pro can detect blemishes and remove them for you with just one tap. You can avoid a lot of tedious painting work. On top of that, the selfie makeup option enables you to choose the best look for your selfie. You can look natural or try a few options to enhance your appearance. This is an excellent blemish remover app and there is no need to use another for retouch work. Bonfire’s unique fink filters can easily turn you into a Sin City character. You can play around with colors and use the pop art filters to create some amazing effects. 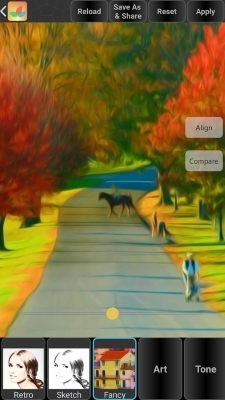 The app’s artistic painting effects are claimed to be the best in the world. You can create a portrait of yourself or anybody else in the style of many great masters. This includes impressionists, surrealists, oil painting, abstract painting and pointillism. You can be Van Gogh, Dali, Rembrandt, Turner or Constable – and many more. All the usual features are there. Zoom, rotate, flip, temperature changes, shadows, brightness, contrast etc. You can professionally edit photos on Android devices. Bonfire Pro is good enough for professional use supporting HD, UHD 4K output (4096 x 4096) up to 7200 x 7200 output. Bonfire Pro does not change your original. This could be lost if it did. It works using a memory copy of the original image file, and saves the new version as a different file. Check that you print the version you want. Bonfire Pro works on Android 4.4 and up and uses only 3.6 MB memory. Adobe Lightroom and Adobe Photoshop also show you how to professionally edit photos on Android devices. Each of these is well known in the industry, and if you have Adobe Creative Cloud, you can also sync them to Adobe’s desktop equivalents. Lightroom offers a variety of ways to change to look of your Android photos while Photoshop express offers the usual activities such as crop, filter and sharpen the image. Do not confuse Photoshop Express with the full Adobe Photoshop desktop image editing system. They certainly lack the amazing functionality of the desktop version of Photoshop, but for free apps they do pretty well. It has to be accepted that they are photo-editing tools for mobile devices and not full desktop Photoshop clones. 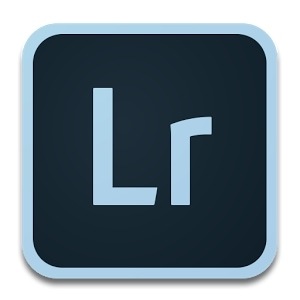 So what’s the difference between Adobe Lightroom and Photoshop? They are fairly similar in that both offer the general editing functions such as blush remover, lens distortions, saturation and so on. But they do differ in some significant ways. Here are some of them. File Editing: Adobe Lightshop does not make actual changes to your image file. Instead, it creates a list of instructions on how the result you wanted was achieved. It is known as non-destructive editing. Bonfire Pro is similar in this respect. You can change and save your changes, but the original photo is left untouched. Adobe Photoshop, on the other hand, works on the original file. You lose the original unless you save the new file under a different name. Editing Tools: Quite frankly, Lightshop does not have the editing power of Photoshop. Few people need the vast array of tools that Photoshop offers. Adobe Lightshop was created for those who require less of an array of tools. It is more for amateurs and perhaps semi-professionals. 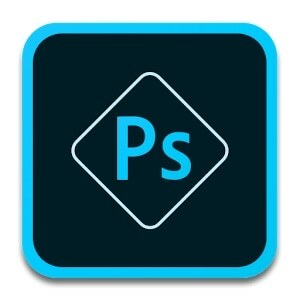 Photoshop is much more powerful and offers a professional solution to all of the needs of professional photo editing technicians. Airbrush is a wonderful free app for selfies. Its blemish remover app is excellent, and also offers teeth whitening, eye brightener, reshaping and loads of tools to add sparkle and pizzazz to your photographs. It is very easy to use, with one-click operation of most of its tools. A great blemish remover app and photo editor for free! If you want to remove your wrinkles, give yourself a tan or even change the color of your hair, then Airbrush is for you. It is more than just an ‘airbrush.’ Simply tap a button, and your face is smoothed and shaped to make you look great. It gets a great rating in the Google Play Store so if you are not too professional, and just want some tools to make your selfies and other photographs look better, then Airbrush is it. Airbrush has recently been updated to be easier to use. It is faster than it was and uses only 21 MB and is suitable for Android 4.0 and over. If you are not too technically oriented then Airbrush could be perfect for you. It is an extremely selfie-friendly app enabling you to edit photos on Android devices. Cupslice is another free photo editing app. 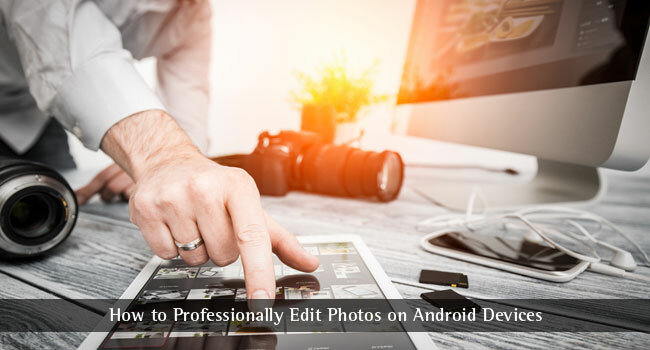 Although free, it can help you to professionally edit photos on Android devices without much technical knowledge of photo editing. It does rely a great deal on using filters, but it does so exceptionally well. It also offers a fabulous range of stickers that are always kept up to date. Photo-editing tools are relatively basic. Cupslice offers frames, crop, hue, saturation, black and white, brightness, contract and collages. It may not have the amazing functionality of other apps, but it is good enough for most average uses – and it is free. It may not be the best photo collage app for Android, but it is very close. Cupslice offers 5 free editing apps that you should download to make the best of the app. It offers thousands of high quality and original stickers that will cover just about all of the latest internet trending topics. It offers amusing, birthday, music, cute and quote-centered stickers. Powerful filter options, with an impressive filter collection. Cupslice is wonderfully simple Android photo editor. Anybody can use it to jazz up and personalize their Android photos. Fotor has been in the top 8 editing tools for ages. It offers an easy to use way how to professionally edit photos on Android smartphones. It offers a large number of editing tools for a free photo editing app. Being free it’s a must-have for anybody who uses the Android phone or another mobile device to take selfies and other photographs. Do not think that just because Fotor is free it is no good! You can enhance your photos with one tap, and it is also a great blush remover app. Here are some specific features. 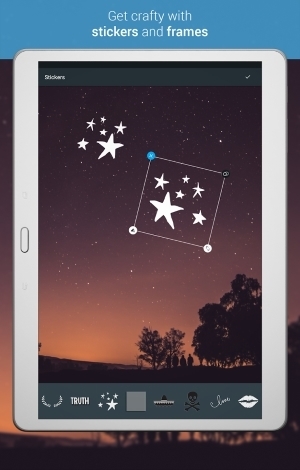 Fotor offers what you would expect in a top-class photo-editing app. One-tap enhancement and an auto blush remover are just the start. All the necessaries are there: crop, rotate, contrast, brightness, exposure, saturation, vignetting, shadows, highlights – you name it, it’s all there including RGB, tint and temperature. You also get 100 filters to play with. Try it – it’s free so it costs nothing to try! Fotor is a very useful tool to have available for simple editing. It does more than just the simple, but why fire up the whole Photoshop shebang if all you want is a little touch-up and blush removing? It is also very intuitive – more so that Photoshop and some other all bells and whistles apps that might cost a fortune. PhotoDirector is a relatively new entrant into the photo-editing arena. This is a good app to use if you are unsure how to professionally edit photos on Android devices. PhotoDirector works somewhat like Fotor in using manual enhancements as opposed to filters. The PhotoDirector photo editing app gives you access to HSL sliders, RGB channels and white balance. These are the basic controls but there are more. You also get sliders for tone, exposure, brightness and contrast and also darkness. This provides you with total control of the appearance of your photo or image – if you know how to use them correctly. You have a lot more control than if you only used filters. As stated above, PhotoDirector offers you all the usual brightness, contrast and other visual controls. You also get sliders for HSL and RGB color adjustments. White Balance is easily corrected and color perfection is a snip. Create a Collage: You can apply changes, adjustments and color effects to your entire image/photo or only on selected areas of it. A collage maker is included so you can combine photos to tell a story or display a historical progression. For example, you – from birth to marriage. That would be part of a wonderful wedding gift to anyone (only them – not you!). This is one of the best photo collage apps on Android. Photobomb and Other Special Effects: You can remove objects from within your photograph, and also photobomb by adding them. You could also remove a photomber from your photos. You can use the Blender tool to add extra images or layers – practically desktop layering on your mobile device! Add lens flare and create imaginative special effects to your photos. You have to use it to experience it! Photo sharing: PhotoDirector enables you to share your photos directly into the app. You can then rapidly edit, adjust and then send the photo to Facebook, Instagram, Twitter or Flickr plus others. Images are saved in Ultra HD 4K resolution. It used 768 MB RAM, which is a lot for a cell phone, and works on Android 4.1 (jelly bean) and later. Images must be in jpg or png formats. Photo Editor by Aviary is a free app. It has been a popular free photo editor for some time now, and will suit anybody wishing to use photo editing as a pastime – or to get a taste of what professional photo editing might be about. As with many others, it offers one-touch enhancement if you want a quick improvement. It also offers many manual adjustments. Aviary is an excellent introduction to photo editing for anybody with the ambition to learn how to professionally edit photos on Android devices. Ii is easy to use on the go, with no need to download the image to a desktop or laptop for editing. It offers the usual controls such as brightness, contrast, saturation, color temperature, redeye removal, teeth whitening and color balance. It also offers arrange of filters and some special features over and above these standards. The app needs 24MB and works on Android 4.2 and up. Photo Editor by Aviary is a very popular photo editor, and it also offers some great features as options in addition to those provided as standard. Photo Editor Pro has had over 50 million downloads and is a popular photo editor and blemish remover app. It supports both modern filter editing and regular editing and includes all the standard and regular features you would expect. Among these are sharpen/blur, hue, contrast, brightness, saturation, temperature and all the rest such as filters. Photo Editor Pro is one of the best photo collage apps for Android around. You can create collages quickly and easily using saved images. You can create fabulous photo effects and frames. Drawing and adding text is a snip. Create your own memes – astound your Facebook Friends. Anybody wanting to learn how to professionally edit photos on Android will find Photo Editor Pro ideal. Its blemish recover app works great and its photo collage app for Android is fantastic. These are our top 8 photo editors for Android. They all have a good blemish remover and among them you may find the best photo collage app for Android to meet your needs. Let us know if you have found better. Very interesting software. I have been using “Photo Editor Pro” and it’s been great so far, thanks for sharing these apps. Very nice information on photo editing Android apps. Let me know whether PhotoDirector is a free app or paid? It is a premium app. I always use Fotor Photo Editor on my Android smartphone. It is really awesome! But here I got adobe photoshop as I am using this on my PC. Now I am downloading this app on my phone. I tried Bonfire Photo Editor Pro and it was worth the money, thanks for sharing this review. I love editing photos for my fashion design site. I have been using Cupslice Photo Editor you have chosen some really great tool to edit photos. Aviary is the only one I use. Get great results! It is editing your photo better than a lot of PC software. Nothing else is needed if you have Aviary. 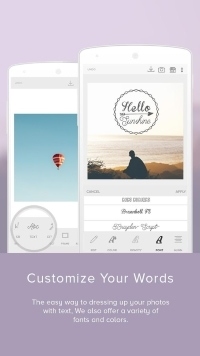 Include PicsArt in your list, Now-a-days it is the most popular and best photo editing tool. I also use it for editing and drawing images for my Blog.